Is it that time of year again? We have been so busy, we only just noticed. People have started asking us what we are doing over “the holidays”, British papers are discussing what is the best seasonal TV ad (yawn), Facebook has sent me a “2016 in review” video and my mother wants to know which yuletide sweet I long for for most. Surely, we are approaching Christmas. Whatever Christmas means for you personally, what it means for most of us in the “Western World” is a bit of down-time, a week or so when little happens at work or in the world, a time to take stock, relax, enjoy the company of those near and dear to us and to gradually focus on what we intend to achieve next year. At Peter Sommer Travels, we’ll certainly be doing that. In keeping with tradition, we’ll also indulge in the most popular part of Christmas: the giving of carefully considered gifts to those we care about, and – if we’re lucky – the receipt of some as well. Without Peter there would be no Peter Sommer Travels. That may seem obvious, but it isn’t quite. It was Peter who first introduced high-quality archaeological tours to a distinctive niche in the market two decades ago, based on his own deep knowledge and experience of Turkey’s ancient sites. It was also Peter who supervised our expansion beyond Turkey: into Greece and Italy a few years ago, lately adding Croatia, and now also including the United Kingdom and Ireland. Peter’s vision of showing our guests the best and the most remarkable aspects of the places we visit is what makes us what we are. In 2017, Peter is guiding on our Exploring Hadrian’s Wall tour in England, as well as on Cruising the Lycian Shore and other tours in Turkey. Stonehenge: Making sense of a prehistoric mystery, by Mike Parker Pearson and others, Council for British Archaeology, 2015. Professor Parker Pearson and his co-authors are involved in the ambitious programme of research and excavations in and around Stonehenge that has led to so many exciting discoveries in recent years. The site is indeed one of the most famous, most evocative, most discussed and – still – most mysterious in all of British and European prehistory. The volume, part of the BCA’s new “Archaeology for All” series, is exemplary in many ways: it offers an overview of the centuries of research that have shaped people’s views of Stonehenge, of the recent and ongoing projects and of the shifting interpretations that have arisen from them. It does all that in an accessible and lively narrative, making it not just an excellent source of information but an actual pleasure to read. The text is supported by copious excellent photographs and drawings. Research will keep throwing new and different light on the 5,000-year-old site, but for the time being, Parker Pearson’s book is the best available starting point for anyone interested in the site. Incidentally, Peter Sommer Travels will bring guests there for the first time ever in 2017, as part of our new Exploring Wessex tour – so we’ll be using this book, too. Michael has also had a remarkably busy year. He is our specialist for Italy but also our expert for organising private charters in the Mediterranean Sea: Turkey, Greece, Italy and now Croatia. His dedication is extraordinary, supported by his knowledge and his passion for creating superb trips. All of that comes from his deep expertise as an expert on Greek inscriptions and the multiple narratives they open. Combined with his rhetorical gifts, it makes Michael the perfect person to lead your tour, or to design it. Next year, he guides on Exploring the Aeolian Islands, and our Exploring Rome tour and more. Medieval Europe, by Chris Wickham, Yale University Press, 2016. Only just published, Wickham’s Medieval Europe is already gathering a lot of praise. That is hardly surprising, as the the author, an Oxford Professor initially specialised in medieval Italy, has previously demonstrated his ability to present the outcome of more academic work in an accessible and attractive form, presenting The Inheritance Of Rome: A History of Europe from 400 to 1000 in 2009, a book that redefines the perceived hard border between Late Antiquity and the Early Middle Ages. Medieval Europe is equally ambitious: covering the era between the Fall of Rome (ca. AD 500) and the Early Modern Era (ca. AD 1500), it sets out to be an interpretation, not a textbook. Wickham is telling a story of the Middle Ages not simply as the “gap” between the ancient and modern, also not as an era somehow destined to lead to the transformations of the Renaissance, but as a diverse and dynamic period in its own right. His clarity of language, his easy command of anecdotes shedding further light on the changes he describes, and the well-chosen illustrations combine into a highly approachable volume, one of the most important additions to its field in a generation. Julie is our Office and Operations manager and she is the person that most of our guests are most likely to have been in contact with, by phone, email or both, before joining our trips. She is the one to always keep an eye on all that we are doing, especially during the busy travel season, when she “holds the fort” back in Monmouth. Her role goes far beyond that: Julie also has a keen interest in the types of content we provide. She joins many of our reconnaissance trips (recently she has helped design our tours of Rome, the Aeolian islands and Ireland), she knows hands-on what our guests’ interests are and she knows many of our tours inside-out. It’s our luck that she is such a supportive and versatile colleague. The Invention of Nature: the Adventures of Alexander von Humboldt, the Lost Hero of Science, by Andrea Wulf, John Murray/Knopf 2015. Published last year to great acclaim (including the 2015 Costa Biography Award, the Royal Society Book prize for 2016 and a slot on the coveted New York Times 10 Best Books for 2015), this book is a tour de force, an immensely skilful telling of an immensely interesting and immensely influential life. Alexander von Humboldt, a Prussian scholar and traveller (1769-1859) was one of the world’s most famous men in his lifetime, but has mostly faded from (English-language) memory. Von Humboldt’s 1799-1804 expedition to the Americas was one of the most ambitiously conceived and most carefully executed and recorded undertakings of its kind, resulting in a treasure trove of notes, lectures, letters, drawings and diagrams, mostly concerned with plants and animals of the visited regions. It made Humboldt a formative contributor to the development of botanic and environmental studies: Darwin considered him a major influence. Wulf manages to effortlessly conjure up the cultural, scientific and political context in which von Humboldt’s activities were embedded and to revive the enthusiastic spirit of discovery, of excitement and of progress embodied by the great man’s achievements. Paul Beston is a person you have to meet to quite believe. Trained as an ancient historian and currently active as a teacher in Herefordshire, he is a man beyond categories, a person of extraordinary erudition and of astonishingly wide-ranging interests, all of which he pursues with great enthusiasm and with a very fine eye and mind for detail. In combination with his elephantine memory, but most importantly with his superb gift of story-telling, he is a wonderful guide, informative and entertaining in equal proportion. In 2017, you can witness his skills on Exploring Wessex, Exploring Hadrian’s Wall and Exploring Rome. The Roman Forum: a Reconstruction and Archaeological Guide, by Gilbert J. Gorski & James E. Packer, Cambridge University Press, 2015. This is the most pricey book we have included in one of these recommendation lists so far (NB: it may be worth looking at the alternative sellers), but this is well worth the exception. The award-winning book is easily one of the most handsome publications in the Greek and Roman fields in recent decades: I cannot imagine a Classical archaeologist who would not want it. Its team of authors is an unusual combination of a licensed architect and arguably one of the finest contemporary architectural illustrators with a highly-regarded archaeologist and expert in the Roman forums. 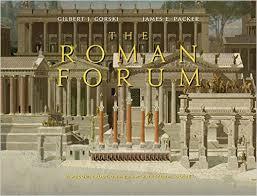 The book follows the architectural development of the Forum Romanum, the formal heart of ancient Rome, from 31 BC to AD 608. Detailed studies of 18 individual buildings and careful analyses of the entire forum as an urban space at six different points in time are brought to life by an unparalleled wealth of illustrations: 60 black-and-white and nearly 250 in colour, all of extraordinary quality! To get an idea of its splendour, have a look at this excerpt. 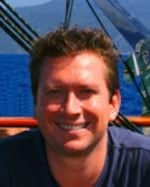 I am Peter Sommer Travels’ Greece expert, as I have been based in this country for well over a decade. I also have a long and profound relationship with Ireland, having lived there for 11 years, but the bulk of my PST work so far has been in Greece. My belief is that a profound enjoyment of the places we travel requires as a profound an understanding, and perhaps as profound a love of them, and that a guide’s task is to share all of them. My academic expertise is in prehistory, but there is always more to be aware of, to consider, and to discuss. 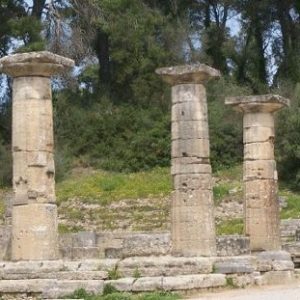 In 2017, I guide on our Exploring the Peloponnese tour, Cruising to the Cyclades, our Exploring Ireland tour and various other itineraries. 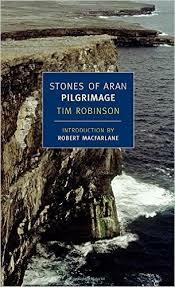 Stones of Aran: Pilgrimage, by Tim Robinson, Lilliput Press 1986, reprints by New York Review of Books Classics (US), Faber & Faber (UK), 2008. This is a very personal recommendation, as the book, which I first read nearly a quarter-century ago, remains one of the strongest influences on me and my work, especially on my view of how place, people, nature and culture are connected and evolve together over time. Robinson, a British mathematician turned artist turned map-maker turned writer, is an exceptional author. Having made his home in Western Ireland in the 1970s, he first raised attention by producing a series of remarkable hand-drawn maps, first of the Aran Islands, later of the Burren and Connemara, at a time when “official” high-quality maps were not available. They were based on his exhaustive exploration – on foot – of the areas covered, taking in geological features, vegetation, land use, archaeological sites and other cultural artefacts and – perhaps most importantly – the Irish names of places and features, gained through countless conversations. Starting with Stones of Aran: Pilgrimage, he has transformed his experiences, his profound knowledge and his deep engagement with those places into a collection of most unusual books, two on Aran and three on Connemara. Pilgrimage is, at face value, a detailed description of a walk around the largest of the Aran islands, Inishmore/Árainn, step by step, but opening up the potential themes and vistas each of those steps offers, from the geological past via archaeology, botany and linguistics to questions of the human condition. Robinson writes beautiful prose and has a unique gift of creating a deep narrative, using his account of a single place as a way to tell a story about the whole world and those dwelling in it, a voyage through time and space. 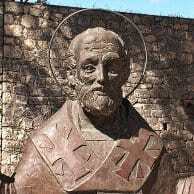 Plavac Mali from Dingač, Pelješac Penisula, Dalmatia (Croatia). Since 2014, we have included wines from the regions we travel (and sometimes beyond) in this list. In many ways, wines are a uniquely enjoyable and complex expression of a place, combining natural properties like terrain and weather with the character of the grape varieties used, but also with local tradition and with the individual winemakers’ cultural and technical choices. 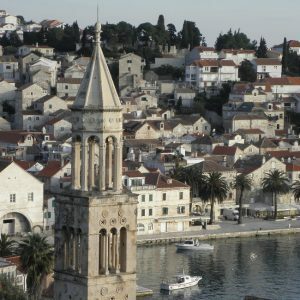 This year, we’d like to share one of our happiest recent discoveries: Plavac Mali, the distinctive and potent red wine grown along much of Croatia’s Dalmatian Coast. The name, meaning small and blue, describes the grapes of this variety. Its history is not yet understood: we know that Greek colonists introduced viticulture to the region from the 4th century BC onwards, but we do not know what varieties they brought. Plavac Mali appears to be a cross of two local varieties, one of which is also the ancestor to Zinfandel, once America’s most popular grape. Famous Plavac Mali wines come from the islands of Brač and Hvar, but especially from the Pelješac Peninsula near Dubrovnik, especially around Dingač, where they grow on extremely dry limestone soils, facing southwards and seawards at steep angles (up to 60%: in some vineyards, the harvesters need to be secured with ropes!) and thus receiving not just over 2,600 hours of sunshine per year, but also its reflection from the sea. The result, usually after fermentation in oak barrels, is a deep red wine, sometimes nearly black or purple in colour, full-bodied and with strong tannins, and dominant aromas of dark berries or cherries, pepper and spices. These wines are full of character and can easily hold their own against steak or grilled fish, in some cases they have considerably higher alcohol content than typical red wines (up to 17%). The wineries we can recommend include Skaramuča, but since your local distributor may carry different producers, we’d really like to recommend Plavac Mali more generally: it deserves to be better known. 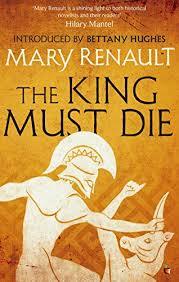 The King Must Die, by Mary Renault, (Pantheon, 1958), Virago, 2015. Mary Renault (Eileen Mary Challans, 1905-1983) might just be one of the most unusual British writers of the 20th century. She published eight so-called historical novels set in ancient and prehistoric Greece, and it is great to see that all are currently back in print. 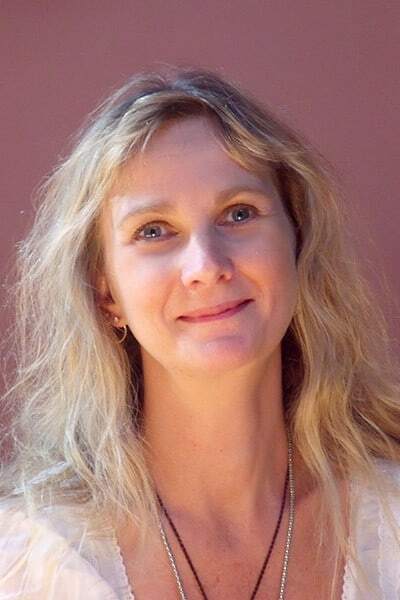 Her work is distinguished by the painstaking depth of research she conducted into all kinds of detail, in spite of not being a trained Classicist. More importantly, it is characterised by the intensity of the atmosphere she creates and the deep engagement with her protagonists she invites, as well as by the then pioneering highly sympathetic references to homosexual love. The King Must Die, probably her best-known work, is not so much a “historical novel”, but rather an imaginative story combining the Greek myth of Theseus and the Minotaur with the archaeological discoveries made by Arthur Evans and others in Knossos and Crete since the early 20th century. If that makes it sound heavy, it is misleading: The King Must Die is a ripping yarn, a lively tale of great drama and haunting depth. It is by no means a valid interpretation of Minoan Crete – but it is a fantastic read. Jane Grigson’s English Food, by Jane Grigson, Penguin, 1998. Oh yes, we have heard all the jokes about English cuisine! They’re getting old. One of the things we look forward to sharing with our guests on our new tours in the United Kingdom, and in Ireland, is the wonderful selection of local eateries we have discovered. 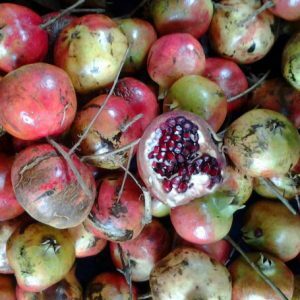 Some of them offer modern and original takes on the produce of their surroundings, and others excel in rediscovering their very local traditions. No matter what the cliché says, there is a great diversity of distinctive and delightful dishes to be found, some modest and straightforward, such as wonderful seasonal soups and casseroles, others more ambitious and complex, including elaborate savoury pies and innumerable cakes. At its best, English cooking offers a range of heart-warming and sometimes surprisingly modern dishes, and Jane Grigson’s classic is a time-honoured treasury of such delights. Of course she includes a definitive and quite easy version of Roast Beef with Yorkshire Pudding, but also look out for her Chestnut and Apple Soup, her Leek Pie, her Crab Tart, her Lamb with Plums or her Fruit Salad with Earl Grey Tea! If you need just one book of English cooking, this is the one. We’re not the only ones who enjoy reading. Most of our guests do, too, inspired by their own interests and – maybe – sometimes by our trips. We’re always curious to hear what they’ve found. This year, we have recommendations from two new guests who joined us in the Cyclades in September and whom we look forward to seeing in Crete in 2017. SC is a corporate consultant and author of a memoir, her husband RW is a legal specialist and editor at a well-known American publishing house. Both (pictured here while visiting the volcanic crater of Stefanos on Nisyros) are well-travelled and well-read. The Genealogy of Greek Mythology: An Illustrated Family Tree of Greek Myth from the First Gods to the Founders of Rome, by Vanessa James, Gotham Books, 2003. 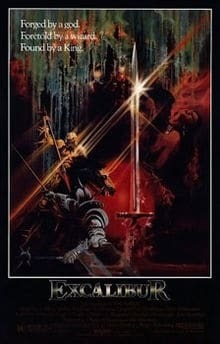 Excalibur, directed by John Boorman, 1981. Silly? Check! Over the top? Check! Inaccurate in every possible way? Check! Sure, Excalibur is a glaring example of 1980s kitsch, but so what? Boorman’s movie is certainly a cult classic by now, telling a somewhat garbled version of the tales around King Arthur, that most British of legends, which we will encounter with our guests on our Exploring Wessex tour. It was shot in a succession of stunning Irish settings, including the Wicklow Mountains, where we will spend time on our Exploring Ireland tour. It may not be profound, but Excalibur is still a lot of fun, not least due to its rather random cast, including various members of Boorman’s family, but also Helen Mirren, Patrick Stewart, Gabriel Byrne and Liam Neeson! There is no need to change what we’ve been saying about quality toys: We’ve said it before and we’ll say it again: playing is not just for kids. Since time immemorial, it is a way to relax and open our minds, to re-engage with aspects of our world in new ways and to mix up the way we see things. Playmobil play+give 9149 and 9150: Zeus and Athena. Last year we suggested LEGO, so this year it’s the other European toy giant, Playmobil. For the first time in the company’s 42-year history, Playmobil has just released two figures from Greek mythology: Zeus, the Father of the Gods, and his daughter Athena, Goddess of Wisdom. Both bear their typical attributes: a thunderbolt, sceptre and crown for Zeus, shield (with gorgon), spear and helmet for Athena. Additionally, both are accompanied by their symbolic animal: Zeus’s eagle and Athena’s owl. The two figures are sold to benefit the Orama Elpidas charity, an organisation that helps children suffering from cancer, so there is no reason to hesitate. Foxford in County Mayo in the West of Ireland is not the world’s most famous place. In Ireland, however, the name is associated with the Foxford Blanket, a luxuriously soft woollen throw. For a long time nearly every Irish baby used to receive a Foxford Blanket soon after birth. When Michael Collins, the leader of the Provisional Irish Government, was killed in 1922, there was a Foxford Blanket with him in the car. Today, they are available in the high-end stores of Dublin, and at Foxford itself, where they have been made since 1892, when Foxford Woollen Mills was founded by the “Sisters of Charity” to provide local employment in one of the country’s more remote and poorest areas. Since then, this small enterprise, one of the last of its kind to survive, has been producing a range of very fine woollen throws, blankets, scarves and so on. To this day, all Foxford products are locally woven on old-fashioned machinery and to the highest quality. The Foxford Woollen Mills’ online shop offers a wide range of lovely things. Make this Roman Fort, by Usborne, most recent edition 2008. Like every year, I’ve scoured the internet for unusual gift ideas connected with our themes of travel, antiquity, archaeology, food etc. This year, our new tour of Hadrian’s Wall has inspired me to include this neat little paper model of a 2nd or 3rd century AD small Roman fort, just as one might have found them along the Roman Empire’s borders, housing a detachment of Roman legionaries or auxiliary troops. Usborne, known as the UK’s largest independent publisher of childrens’ books, has a whole series of such historical model kits. They are very affordable, entertaining, enjoyable (if you like this kind of thing) and informative, probably not just for children. Mind you, the sets are not die-cut, so one needs to work with knife and scissors and this set especially is a fairly complex one, with many separate structures. It will keep you busy for a while. That would be love. And not just for Christmas. It’s all over the place and it’s for you to find and enjoy, to receive and to give. Whatever it takes you, it’s cheap at the price. Evidently, we cannot offer links for finding that, but why not have a look at our 2017 travel brochure instead – and treat your loved one(s) to the holiday of a lifetime?